Bexley DA After Builders Cleaners Commercial & Residential | Quality Property Care Ltd. The professional cleaning service after builders can be useful to both private and business customers. 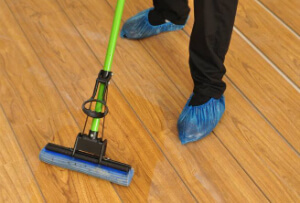 All people who are moving into a newly built house, flat or office can use the professional help of the reliable and experienced cleaners from the company. The service is suitable for industrial customers, as the company can provide all necessary specifications and certificates. Call Quality Property Care Ltd. or write to the customer care service now to book your after builders cleans now! Every sent team of after builders cleaners is composed of hygiene experts with specific skills, proper and good education for the rich and purpose experience. All of the Quality Property Care Ltd. after builders cleaners in Bexley DA are vetted and insured. Your residence is at safe hands. If you want to, you can leave some special instructions or requirements to our kind technicians. Keep in mind that you don`t have to move any furniture or to provide us some cleaning detergents. We have the right post-renovation cleaning strategy and equipment to do the purge as soon and efficiently as possible! The expert after builders cleaning in Bexley DA - guarantee for effective refurbishments! Our team of experts is capable of removing even the toughest stains. Quality Property Care Ltd. is the right after builders cleaning service provider for you, simply call 020 3746 4287 and book a date. Our customer care desk is available, free of charge or obligations. Simply call and ask your question, we will respond immediately and help anyway we can.